I was a single mom for part of the week. Being without Matt made me realize how much I need him during the week. It was tiring. I am so glad he is home! Sebastian has been looking forward to this alphabet party since the beginning of the year. I told him we would have an alphabet party once he knew his letters and sounds. Now that he is able to read three letter words, we decided to let him plan his party. 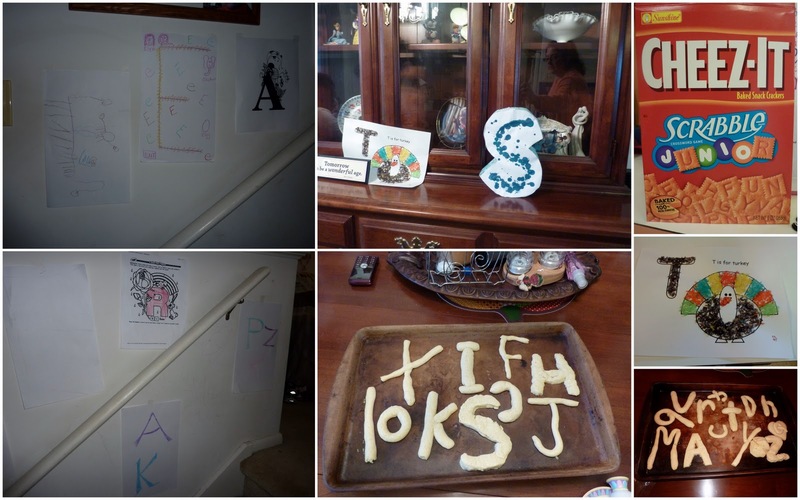 We decorated the walls with our favorite letters, ate Cheez-It Scrabble letters, and made (and ate) sugar cookie letters. 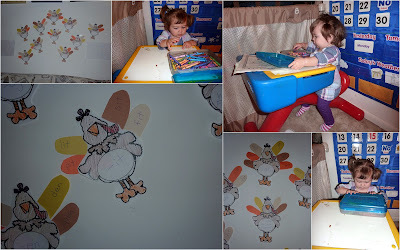 We made turkey word families, read the words on the feathers, and decorated the walls with them. Kaelyn also joined in on the fun and played with crayons at Sebastian's old desk. It was a great day; we played games and had some visitors join in on the fun! Here is a video of Sebastian and one of his friends playing a game. I don't get it, but they are having fun anyway! This is wonderful. Love the kids playing too. Have any ideas for a sentence party? My brain is working now trying to conjure up something. Thank you for the great idea! Keep up the good work - I love your post. 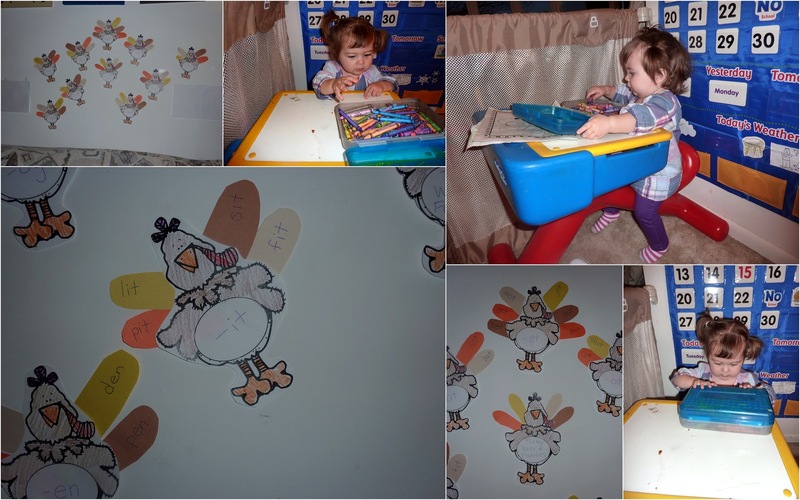 Such an awesome idea!Thanks for sharing (my kids love to put stuff on their heads too- boxes, tubs, blankets etc. I don't get it but they love it).